Since I know a lot of people only read the blog via their email subscription, I thought I'd take a little time to share what you are missing by not visiting the blog website. First we changed the layout of the page to make it a bit cleaner (we think). We should also give props to our friends on SV Nyon since they inspired our layout change with their great blog. Can you find the starship?? Possibly the coolest new feature (in my humble opinion), is the new "Where are we?" 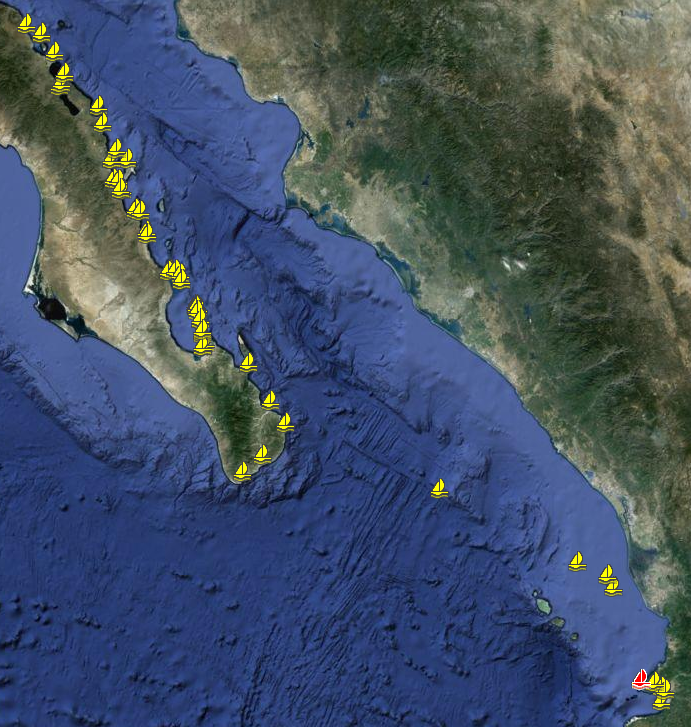 page which includes an interactive google map of all our position reports since we left Half Moon Bay California! All the sailboats are places we have anchored or passed through on passage! 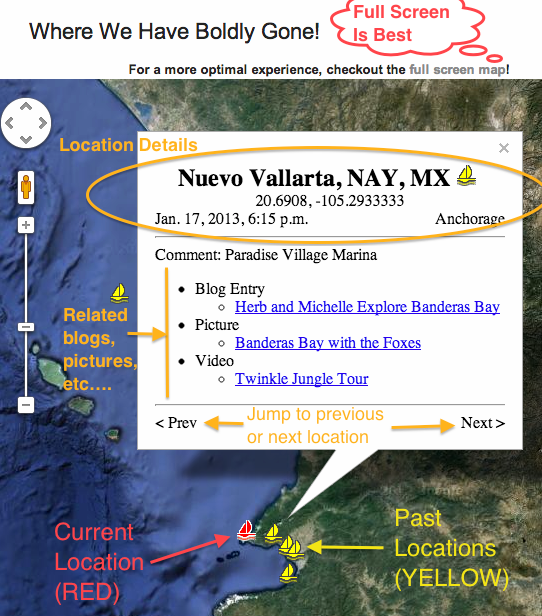 I hope this convinces you to check in on the blog website from time to time just to see where we are. It should be especially interesting during the pacific crossing to see our progress across the puddle updated daily using our Single-Side Band radio. The new blog looks great! Tomorrow I am going home for reading week and then we will be going to Whistler on Saturday. You guys will be missed!